Click on the Share button at the top right corner. Enter email addresses to send a copy of your meeting notes. You can also see a preview of the email. 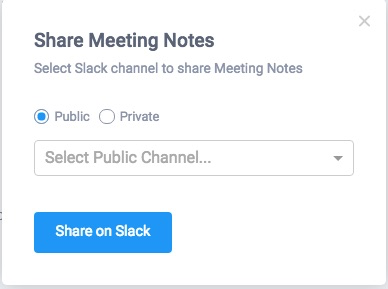 To share notes on slack, first install slack bot. Next, click on the context menu in the meeting header. 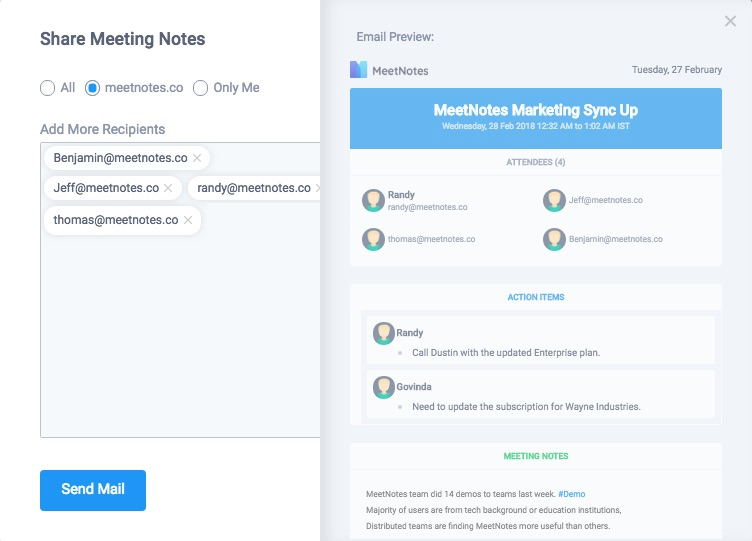 Apart from sharing notes, you can also Print meeting notes from context menu.